The highly anticipated follow-up to the bestselling book Shake, Shake Puppies also features 61 dogs caught mid-shake—only this time they’re even more adorable and laughter inducing. Shake Puppies features two images of each dog placed side by side to capture the action of the shake—the tousled hair, the distorted expression, the flying water droplets. The photographs capture the dogs in the most candid of moments and were shot against brightly colored backdrops to make them fresh, lively, and inviting. 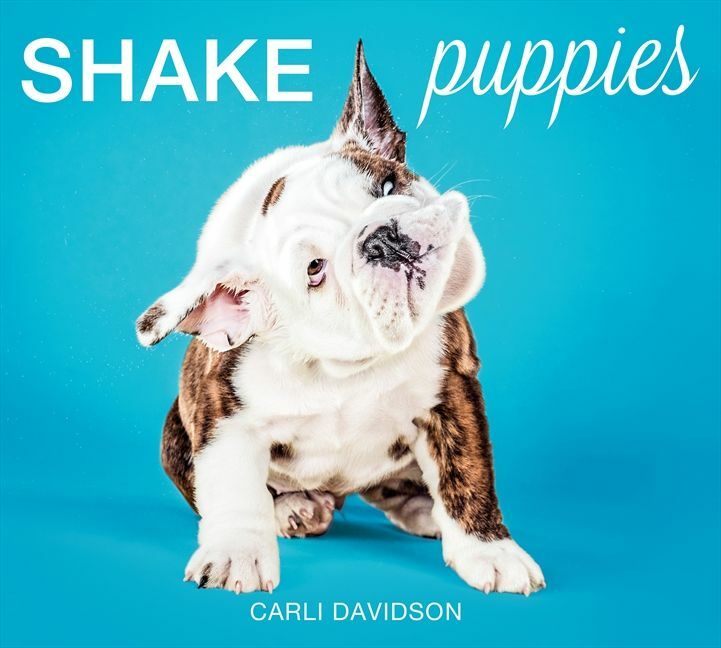 Shake Puppies includes a roster listing the names, ages, and breeds of the dogs, as well as behind-the-scenes images that take readers into the studio with Carli Davidson and the smiling, playful pups.  In the accompanying text, she offers never-before-shared insight into her creative process and reminds readers of the importance of animal adoption and quality pet care. Funny and heartwarming Shake Puppies is a colorful assemblage of photographs that are startling and endearing, revealing and irresistible. Carli Davidson is a crazy cat lady. She talks to her own cat, Yushi, more than any other creature on the planet and is pretty much always covered in cat hair. She lives in Portland, Oregon, with her husband, Tim, pets Saul and Yushi, and a rotating cast of foster animals.